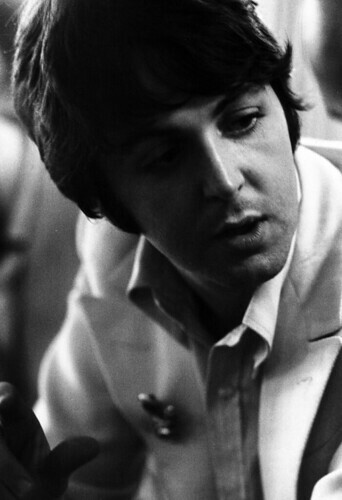 Once again, it’s Paul McCartney’s birthday, born this day in 1942 in Liverpool. He would go on to achieve success with a band called the Beatles, named by way of a man on a flaming pie if you believe the legend. And after that band ended, he would record solo, with a new band Wings, and with his wife Linda, too. All the while he kept writing songs. He has a knack for it, you see. And instead of listing off a bunch of songs of his that I love – and boy, there are a lot of them – I thought I’d try something different this year. I thought I’d ask some of my friends to submit their favourites in exchange for some link love to their sites as well in celebration of the birth, and the work, of one of my heroes. And so here they are, in no order and with some commentary from my erudite friends and family, Delete Bin regulars, and Twitter buds. When it’s all over, please feel free to add your own suggestions in the comments section! Thanks to everyone for their contributions, and happy birthday Macca! You have managed to pay tribute to McCartney as well at the rest of us! Thank you for the song and for the link and for all the work you did to pull it all together! What, no Uncle Albert/Admiral Halsey? Just because I didn’t nomnaite it doesn’t mean someone else shoudn’tve. @Gwyn – Glad you enjoyed the post, which is basically a big mix tape (as we used to say). May the Macca continue to stick in your head! You know, I was *this* close to choosing Helter Skelter. It would certainly be in line with your punk rock penchant! I like C-Moon, because it kind of messes with you. And I can’t be certain, but Macca sounds slightly, um, relaxed on this one. Some excellent choices, and it is always good to see people recognising the brilliance of some post-Beatles tracks. My favourite Macca tune changes all the time. At the moment, I’ll go for ‘You Tell Me‘ from ‘Memory Almost Full’. A cracking late-period tune, and one that will probably be lost. Weller’s a fan too.